Over 9% of the workforce in St Kitts and Nevis became unemployed when the sugar industry was closed in 2005. Therefore the establishment of alternative industries to absorb these workers and to generate levels of economic growth that would provide improved standards of living for residents and nationals of St Kitts and Nevis has been a major challenge for the federation. One major goal of the SIDF is the facilitation and funding of economic projects. 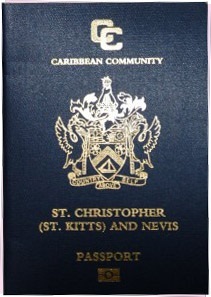 One major goal of the SIDF is the facilitation and funding of economic projects (including supporting infrastructure) to advance the growth, transformation and diversification of the economy of St Kitts and Nevis and increase employment opportunities for the population of St Kitts and Nevis. There is a real risk that the unemployed sugar workers may be pushed below the poverty line unless they are provided with alternative sources of income. This situation would seriously undermine the progress that has been made in St Kitts and Nevis over the years to reduce poverty and to advance the development of human kind. The SIDF will therefore join together with the Ministry of Social Development of the Government to identify unemployed sugar workers in need of assistance and provide this to them in an efficient manner. In a more general view, the SIDF will implement projects aimed at accelerating the pace at which St Kitts and Nevis attains the Millennium Development Goals. The closure of the sugar industry made it imperative that St Kitts and Nevis pay even closer attention to the protection of the environment. As the government has indicated in its national Adaptation Strategy, the sugar cane plant has moderated the influence of greenhouse gases on the environment in St Kitts and Nevis. Further more, the sugar cane has assisted in protecting and preserving the fragile volcanic soils of the island of St Kitts and therefore preventing both disastrous flooding and erosion and allowing for the infiltration of rainfall and the recharging of the extensive underground aquifers which now supply over 90% of the population with water. The SIDF is planning to implement a whole range of projects to mitigate the impact of the closure of the sugar industry on the environment. It is thought that around 30% of the unemployed sugar workers are women and most of them were unskilled field workers with no certificates of formal or vocational qualifications. In fact, out of the 483 workers employed in field operations when the fields were closed in 2005, over 270 of them were women. Further more, many of them were middle-aged and had spent their entire working lives in the cane fields, which means that it has been particularly difficult for this group of workers to find other employment in tourism or another growing sector of the economy. The social impact of these unemployed workers is pretty significant as around 22% of these women are the sole breadwinners in their households. The SIDF intends to create a number of projects in the agricultural sector which are aimed to specifically providing income for this group of women. Many of the displaced sugar workers have shown interest in establishing their own enterprises, however they are seriously restricted by the lack of technical and financial resources available. The SIDF plans to join forces with existing micro and small business financial institutions to boost the level of financial and technical assistance available for the establishment and operations of small businesses. Enhanced human resource development has become vital for St Kitts and Nevis as a result of the need to prepare the displaced sugar workers for employment opportunities in the growing sectors of the economy. Therefore the SIDF intends to fund a number of scholarships and short-term training programmes that will be consistent with the ongoing efforts of the government to transform and diversify the economy and also to provide new avenues of employment for the unemployed sugar workers.